Veterans have put their lives on the line to defend our country. When they return from service they should be able to find a rewarding career. That is why (VAS) Veteran Adjusting School has built its school around helping veterans find jobs in catastrophe adjusting, with over 95% job placement in the insurance adjusting field. VAS is VA approved with tuition assistance for veterans through the GI Bill ®. When a catastrophic event occurs (hurricane, hail-storm, wild-fire, etc. ), insurance agencies and independent firms will deploy catastrophe or CAT adjusters to the region to assess the damage. They will perform inspections throughout the affected area to calculate how much compensation the insurance customers are entitled to under their policy. High earning potential – CAT adjusters average $70k – $100k in 6 – 9 months. Vacation time – CAT adjusters typically work 6 – 9 months during the storm season which leaves 3 – 6 months of vacation to enjoy their income. Self-employed – CAT adjusters are contracted out by insurance agencies and independent firms. This means that they get to pick the jobs they want and the hours they work. Helping people – CAT adjusters are able to help people get compensation to rebuild their lives when they need it the most. In order to be successful in the field, a CAT adjuster must be hard-working, organized, self-motivated, and dedicated. 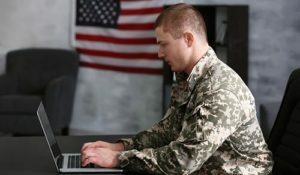 These traits combined with being able to work weeks to months in adverse conditions make veterans ideal candidates for the catastrophe adjusting field. That is why VAS pursued approval from the VA for tuition assistance for veterans using their GI Bill ®. Veteran Adjusting School is able to provide job placement for their students because their course curriculum has produced top quality adjusters. This has allowed VAS to create valuable partnerships with agencies and firms that hire VAS students right out of school.